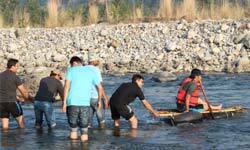 Get most adventurous jungle stay experience close to river starts INR 1499 !!!! Bengal Tiger considered as the national animal of India and Bangladesh, are fast vanishing due to different reasons. India’s premier Tiger conservation agency (National Tiger Conservation Authority) reported 98 tigers died in India in 2016 itself. Jim Corbett National Park is part of Corbett Tiger Reserve established in the year 1936 as Hailey National Park and Project Tiger in India was launched in 1973. Corbett National Park is one of the best tiger reserves for elephant safaris and tiger safaris in India now started Corbett online booking website for jeep safari bookings, night stay in forest rest house located inside corbett national park and 2days-3Nights weekend tour packages from delhi for government hotels in jungle and resorts near river in jim corbett national park in marketing association with KMVN and GMVN, an Uttarakhand Tourism enterprise of Government of Uttrakhand. Jim corbett National park situated on on NH-121 is located between 29°25' and 29°39'N latitude and between 78°44' and 79°07'E longitude across ramganga river and the nearest railway station and bus station to corbett national park is ramnagar, distt Nainital with zipcode 244715, Uttrakhand. There is no or very less mobile network in Corbett national park zone and particularly in dhikala forest lodge, if someone wish to contact a visitor staying at dhikala or bijrani, all one can do is communicate through forest officials or write and please don't forget to mention zip code of dhikala is 244715. Please follow this route map to reach Corbett National Park from Delhi. Best time to visit jim corbett national park is between October till June because at that time the temperature and weather of jim corbett national park is moderate and it is advised to book jim corbett national park online safari in advance for dhikala gairal bijrani jhirna dhela durgadevi zones from online portal and official online safari booking website of corbett national park. Jim corbett national park timings for safari are different is summers and winters and corbett national park entrance fee is also different for Indian and foreigners but if somebody wish to make online booking for dhikala forest lodge or online booking for safari from official website of jim corbett national park safari online booking there is no option for PIO status of foreign national who are working in India hence they have to pay full price. There are different reasons for people visiting Jim Corbett National Park other than just tiger safari and wildlife sighting. Corbett National Park is most popular destination for corporate offsite trainings near delhi, seminars and events for corporate, college students and school groups for their study tours and educational summer camps tours, event managers for marriages and destination wedding, photographers for pre wedding shoots other than landscape and wildlife photography. 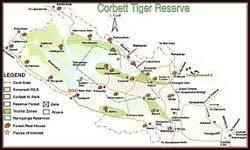 There are 5 tourism zone in Corbett National Park. 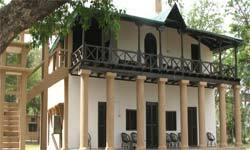 Dhikala and Bijrani is best zone in corbett national park for jeep safari and dhikala for canter safari. Sunny Leone of Bigg Boss and MTV Splitsvilla! Sunny Leone enjoyed jeep safari in corbett national park during most popular youth reality dating show "MTV Splitsvilla” shooting, this is her second TV reality show after Salman Khan’s Bigg Boss. 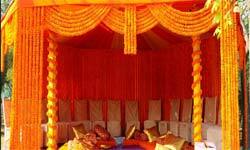 Our Hotels and Resorts in corbett national park caters to all kinds events like pre-wedding, post wedding, bachelors party or budget to luxury wedding in jim corbett national park.